Know your child: Take time to study the child. Know their strength, weaknesses, interest and personality. This way, you know how to best channel their learning and energy. Carry out a probe to see which task they most enjoy and stay on the longest. What is the threshold, span of the attention? Are they able to multi-task? The answer to these questions will guide you to work more effectively. Make tasks short and achievable: Routines will give a form of focus and direction. when creating the routine for a child with ADHD, ensure that tasks are short to fit into his attention span. While you let him dictate the pace of work, do not allow or give room for compromise of quality and consistency of the work. Give constant breaks: This child needs physical breaks. You can choose to give breaks after each small task or two tasks depending on the age of the child. Older children might have been trained to sit longer than a younger who is just beginning intervention. Movement breaks can be used as reward for good behaviour or completion of work. Make him a community helper: Giving your child some responsibility will help groom him for bigger responsibility in the future. While all children in class should be involved in community jobs for the classroom community, engage the child with ADHD with the job that requires frequent movement. This will satisfy the sensory urges of movement while he is focused on something positive. Visuals & Tactiles: Create multi-sensory activities to hold students’ attention. They can also be used to communicate friendly reminders. For example, put a little sticky tab on the student’s desk to remind him/her to make better choices. Likewise, if a student struggles with blurting out, give that learner a little token to hold as a tactile reminder to raise his/her hand. However, always ensure Stimuli Control by not giving any extra supplies/materials that inevitably turn into toys instead of tools. Reward : also called Positive Reinforcement or Positive Discipline: Rewarding a behaviour guarantees that such behaviour will occur again. Therefore, let’s look out for and acknowledge good behaviour and always give a reward while at the same time ignore undesired behaviour. Examples are sitting still for a stipulated time can earn the child a reward. Make rewards juice and enticing, they have to be what the child loves. 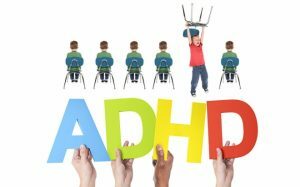 Children with ADHD have been called 2-hands-full but with the right management and techniques, significant progress can be achieved both at school and at home. To deploy our various talents, resources and expertise to give children on the autism Spectrum a fulfilled life.